Uniworld,Uniworld Boutique River Cruises 2016 and 2017, Uniworld River Cruises France Germany Holland Austria Spain Portugal Russia Egypt Czech Republic China Vietnam and Cambodia"
Uniworld exceptional services, beautifully designed interiors sets them apart from other river cruise lines. These inclusive cruises also offer fine dining, fine wines, and so much more call today! fabled Rhine River Valley. Cruise past some of Europe’s most spectacular scenery, where fairytale castles and historic sites greet you at every turn. three great rivers - the Danube, Main, and Rhine. at the extraordinary creations that define Egypt—a land of complexity, marvels, and mythology. and meeting the winemakers who operate them. Now it’s your turn to discover the rich history and traditions along the imperial waterways of Russia. To travel through India is to encounter a country more complex and beguiling than perhaps any other profoundly mysterious, gloriously exotic, seemingly infinite, and absolutely unforgettable. hear the tragic love story that inspired its 17-year-long construction. Wander amongst the imposing fortresses and dusky-hued palaces of Rajasthan’s gateway city, the regal Pink City of Jaipur. Explore the atmospheric, centuries-old bazaars that make Jaipur such a magical place. With labyrinthine lanes lined with a plethora of tempting treasures, you’ll find them a delightful and dizzying spectacle for all five senses. Embark upon your eight-day cruise along the Ganges River, where many other stupendous sights and experiences still await—Mother Teresa’s home and tomb in Kolkata, an enormous Vedic temple built by Hare Krishnas, splendid garden-tombs and mosques, and grand Victorian buildings and monuments, the lingering vestiges of India’s rich colonial legacy. your stunning surroundings while cruising the breath-taking Yangtze River with its famous Three Gorges. and home to Shanghai’s legendary acrobats. the breathtaking Yangtze River with its famous Three Gorges. And finally, explore Shanghai—China’s largest city and home to Shanghai’s legendary acrobats. of Hungary’s historic capital. The mighty Danube takes you through three nations decked in all their holiday finery at this most delightful time of year. her famous landmarks decked out for the holidays. Somewhere at this moment a Uniworld Boutique River Cruise is carrying a small, intimate group of passengers along one of the most historic rivers in the world. Day after day, they’re seeing unforgettable sights and sleeping in the only ZAGAT®-rated staterooms on the rivers. They’re dining in the only ZAGAT®-rated restaurants on the rivers and enjoying an unparalleled level of service from a crew that believes “no request is too large, no detail is too small.” And they’re finding out what it feels like to be on a river cruise that’s surpassing even their highest expectations. 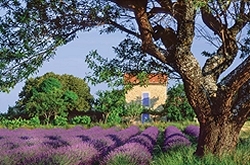 Connoisseur Collection 2016 offers connoisseurs of fine wine and cuisine a host of culinary delights on the Paris & Normandy, Burgundy & Provence and Bordeaux Vineyards and Chateaux itineraries. Uniworld Cruises Lines has been in business for over thirty years now, and was originally created to offer river cruises in Europe, that specifically catered to North American travelers and other English speaking countries clients. Uniworld has taken guests to the world’s greatest destinations, not only Europe, but to China and Egypt and. Russia as well. Uniworld's fleet consists of 17 ships, as noted with fully English speaking crews and employs an all English, professionally trained staff, so there are no language barriers and no problems with understanding what is being said or going on. All announcements are made only in English. Unlike many companies offering river cruise programs in Europe and elsewhere, Uniworld is an American company focused on North American travelers, or at least English-speaking clientele (the trips are popular with Canadians and folks from Down Under as well). Uniworld jointly operates one river cruise ship, Douro Queen, in Portugal and partners with river cruise ships Litvinov and Taras Shevchenko in Russia; Egypt is under a charter program and Uniworld partners with Five-Start Victoria Cruises in China. The ships crews on these ships are native speaking, but are Uniworld English speaking staffed. Again to eliminate language barriers and problems with understanding what is being said or going on. Unlike many companies offering river cruise programs in Europe and elsewhere, Uniworld is an American company focused on North American travelers, or at least English-speaking clientele (the trips are popular with Canadians and folks from Down Under as well). Uniworld’s headquarters is located in Los Angeles, California, and it has an outstanding European operations team who reports directly to the Los Angeles headquarters, which allows them to have complete control over every aspect of product delivery: nautical, hospitality and land tours. 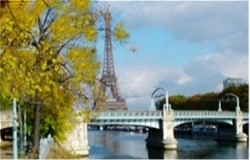 Paris, one of the most stunning and exciting cities in the world and provides the perfect starting point for your Grand France adventure with its unending list of picturesque sites that included Eiffel Tower, the Champs Elysée, Notre Dame Cathedral, the architectural delights of the Ponts [bridges over the river Seine] just to name a few of the more noted ponts are Le Pont Alexandre III, Le pont du Carroussel, and the most well known ponts include Le pont Neuf, Le pont Saint-Michel and Le pont Notre-Dame. Cruising along the Seine River is a whole different perspective of Paris, the magnificent architecture styles of these bridges is quite varied as is the views of Paris via the Seine. On your Paris and Normandy cruise, you’ll visit charming towns and villages of Auvers-sur-Oise, Rouen, Honfleur and Giverny that are absolutely charming and so inspired many of the great impressionist artists of that era. You’ll walk the beaches of Normandy where the Allied forces landed during World War II D-Day Invasion, and visit the war memorials and much more. As you sail on the southern cruise through France, sailing between Lyon [embarking at Chalon-sur-Saone] and Avignon the City of Popes, and the Palais des Papes, you’ll pass quaint hilltop cities and their unique charming and lively towns, lush vineyards and fields of lavender and an artists palette of vistas of the countryside's made famous by great painters. You'll visit many of the UNESCO World Heritage Sites: Arles, forever connected to Vincent Van Gogh; Lyon is known as the culinary capital of France, and the center of Gallo-Roman history with Avignon being a well-preserved medieval walled city housing the spectacular Palace of the Popes and the infamous Pont Saint Benezet or the Bridge to Nowhere! 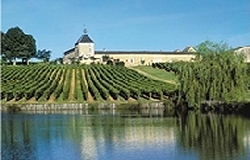 All along the way, indulge in the famous flavors of these regions, the Burgundy Wines and Burgundy Cheeses, the chocolates, fruits and vegetables, and bask in the warmth of the countryside. A fabulous river cruise experience, that you'll remember for years to come! Come cruise with Uniworld now! CRUISING ASIA AND CHINA ON A UNIWORLD BOUTIQUE RIVER CRUISE IS THE ULTIMATE IN A CRUISE AND LAND TOUR DREAM COME TRUE CALL TODAY! Where you will discover that China is both a time capsule of ancient culture and a monumental stage showcasing modern miracles. Explore legendary sites like China’s ancient capital, Xi’an, and current capital, Beijing. Soak up the vibrant energy of Shanghai and Hong Kong. Spend time in Suzhou’s heavenly gardens, and Guilin’s spectacular mountains. Journey to Lhasa, the heart of Tibet; sail the Yangtze with its spectacular Three Gorges; and walk along the Great Wall. From the moment you arrive, you’ll be in the hands of Uniworld’s English-speaking, professionally trained staff and Cruise/Tour Managers. Teaching you about China’s history, art, culture, and natural landscapes throughout your journey. In China, we offer four expertly planned cruise/tour packages, with Uniworld’s sister company, Trafalgar. No matter which itinerary you select, you'll experience the Eastern wonders that you’ve always imagined visiting, uncovering hidden treasures. Then there's a no more striking cultural contrast between bustling Vietnam and the tranquility of Cambodia. From Ho Chi Minh City, through the Mekong Delta so rich in human life and endeavor, to the diverse countryside of Cambodia, you’ll discover two countries, two cultures, and two ways of life linked by one river, the Mekong, that have shaped these nations. Cruising along the Russia's Volga River, Europe’s largest and longest waterway, holds a special place in Russian history and in the hearts and minds of the Russian people. An important aquatic “highway” since Medieval times, the Volga has long served as a major route of trade, settlement and conquest. Peter the Great sailed along the Volga from Moscow to St. Petersburg approximately 300 years ago on a quest to bring Russia out of the Dark Ages. And centuries worth of Russian music and literature reflect the people’s deep feeling for the river.